Conventional concrete plants always struggle when there is a frost, this is because the batching plant and aggregate bays are exposed to the weather and freeze solid. 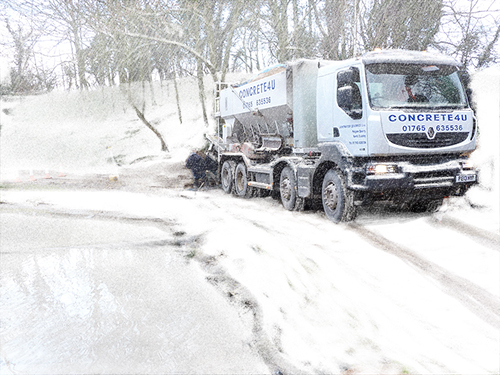 Concrete4U offers customers a cold weather solution so sites don’t have to stop. 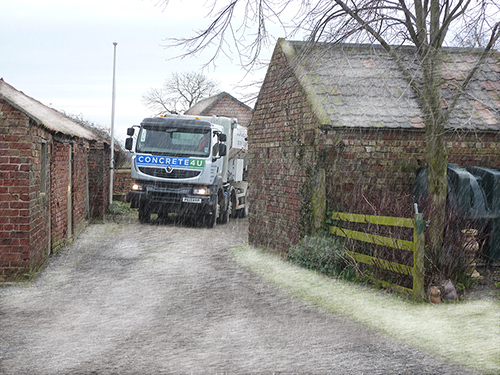 Because everything is carried on the truck and we have covered heated workshop facilities we can ensure that our fresh aggregate is kept dry and frost free enabling us to drive to the job and make concrete to suit our customers’ needs with no waste and no mess. 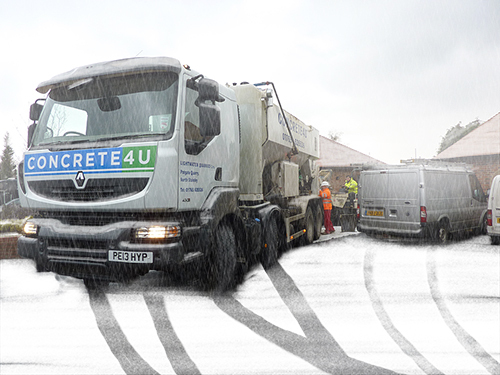 Once concrete has started to be mixed it produces its own heat, therefore, it is essential that the concrete is placed as quickly as possible to enable the concrete to cure properly. 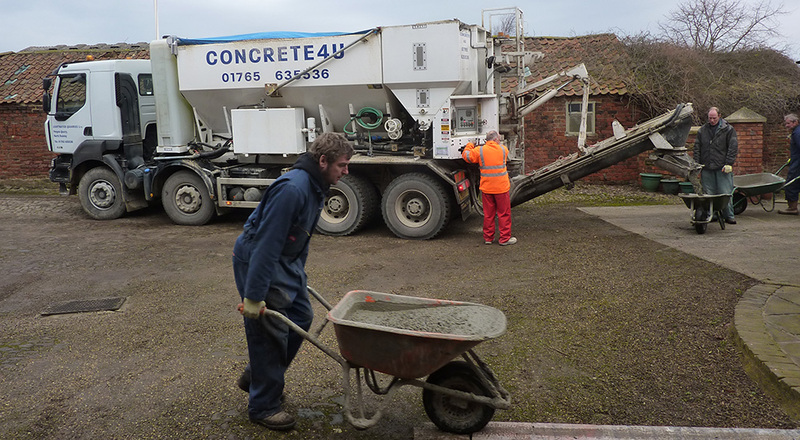 Consequently, concrete that is mixed on site will have a better chance of curing than that mixed at a static plant and transported to site. Lower the slump and therefore the water content as this reduces the part that is susceptible to freezing conditions. 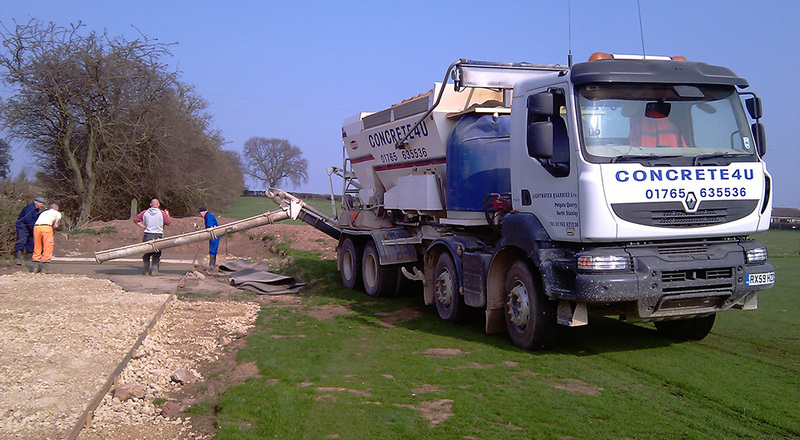 Our mix-on-site vehicles are able to regulate the water content throughout the load to the customer’s requirements. Use of Ordinary Portland Cement (OPC) within the concrete produces greater heat generation during the curing process. All of our concrete is made from OPC and not cement substitutes which produce less heat. Where possible protect exposed concrete surfaces with plastic sheeting, tarpaulins or proprietary quilts.